Mom came over Thursday with some old family photos, of which this is my very favorite. 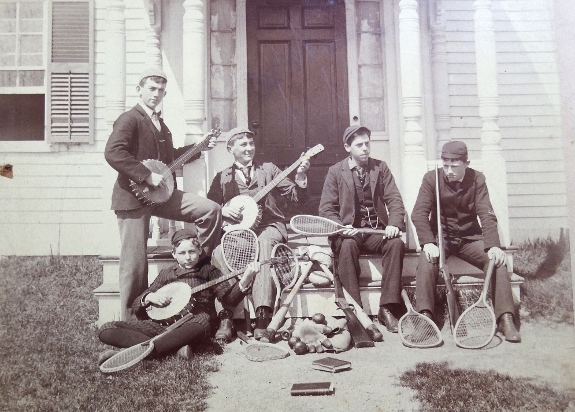 My great grandfather (lower left) was apparently a prep school boy in 1891. As the youngest in his house, Mom informed me that Prince Henry (yes, that was his first name; no, he wasn't a prince) was made to run errands for everyone else. So maybe the pout isn't feigned? Fast forward ahead forty-odd years and the pouting school boy's daughter was adventuring in Panama. 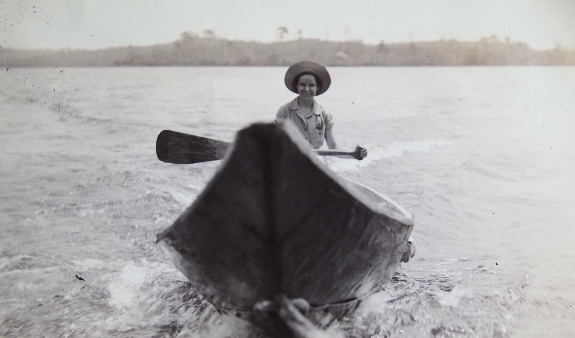 You can jump forty more years into the future to see the canoer's daughter (my mom) in this post. And then check out most of this blog to see the next generation (me) nearly forty years after that. How time flies when you're having fun! Thank you for sharing these! I love the picture of your grandmother. Maybe that's where you get your sense of adventure?